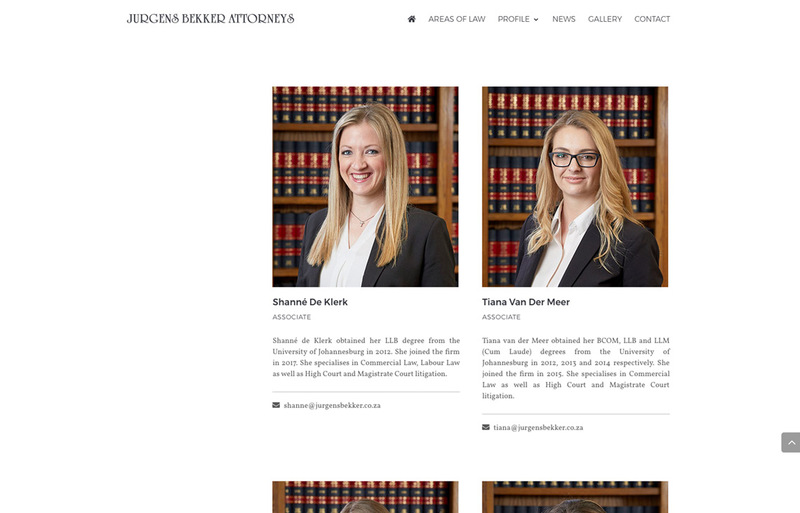 Jurgens Bekker Attorneys website development by Black Rooster Studios. 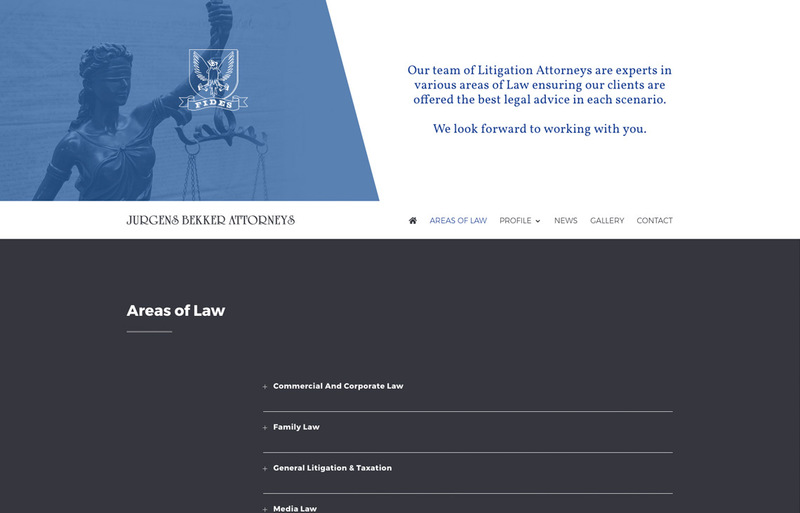 Office space photography and a responsive WordPress website for a firm of Attorneys. Jurgens Bekker is a colourful character, one who I am eternally grateful for meeting. 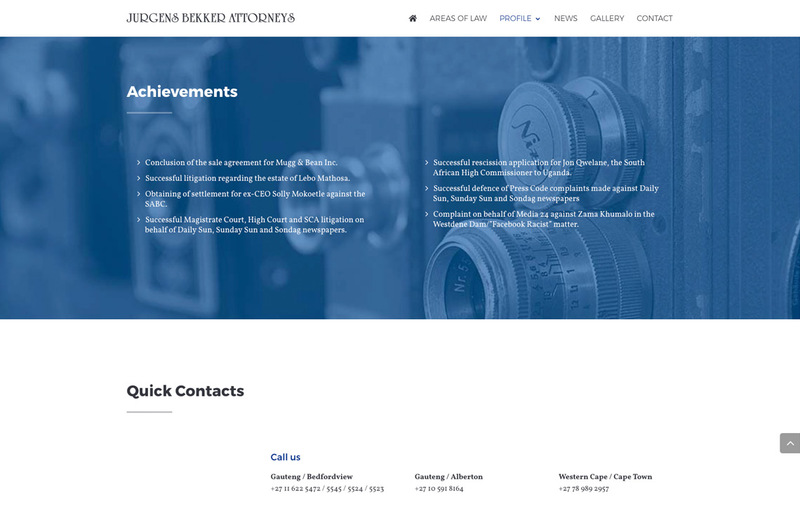 His firm is no different, the minute you walk into the offices you know this is not your usual attorneys firm. 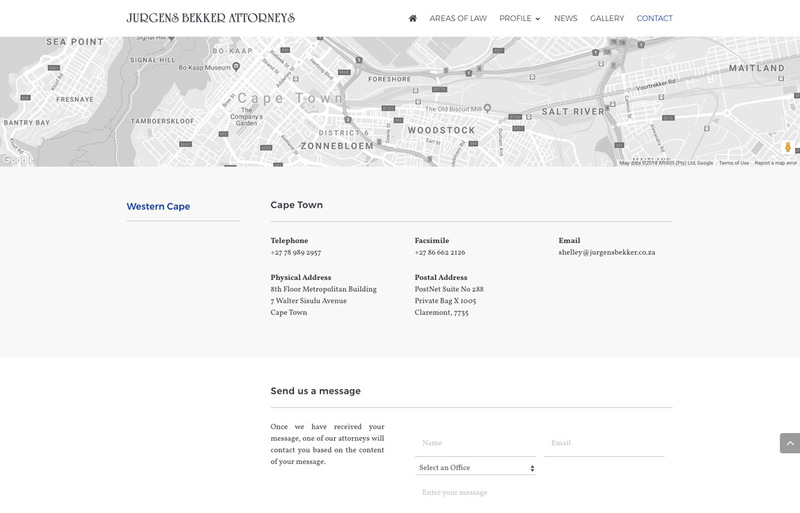 The Jurgens Bekker Attorneys website reflects their attitude to business. Jurgens Bekker’s collection of “stuff” is legendary, everything from newspaper covers going back to the days of Rhodesia to film cameras from the 50’s and a car displayed inside their offices. 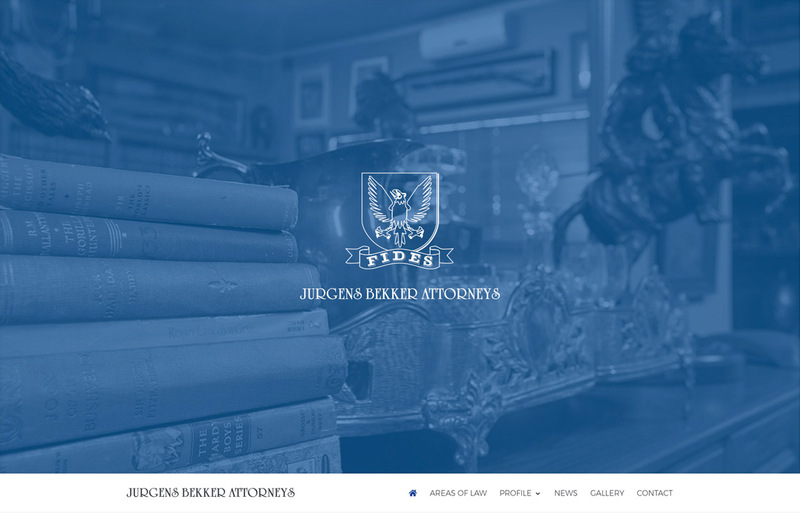 Black Rooster Studios developed a 100% custom responsive design WordPress theme which shows off his impressive collection.